The following is a rush transcript. Copy may not be in its final form. AARON MATÉ: We begin today with student loans. When President Obama signed it into law this month, the Bipartisan Student Loan Certainty Act was hailed as a major victory for students. The bill reversed a temporary doubling of the interest rate on federally subsidized Stafford student loans that took effect in July. Most students will pay a low rate of around 3.8 percent through 2015 but then see that rate jump as it becomes attached to financial markets. At the signing ceremony, President Obama praised Congress for reaching an agreement, but he warned the temporary fix in rates doesn’t address the underlying problem: the massive cost of college tuition and the debt burden imposed on students and their families. PRESIDENT BARACK OBAMA: Even though we’ve been able to stabilize the interest rates on student loans, our job is not done, because the cost of college remains extraordinarily high. It’s out of reach for a lot of folks. And for those who do end up attending college, the amount of debt that young people are coming out of school with is a huge burden on them. It’s a burden on their families. It makes it more difficult for them to buy a home. It makes them more difficult—more difficult for them if they want to start a business. It has a depressive effect on our economy overall, and we’ve got to do something about it. AMY GOODMAN: President Obama speaking in the Oval Office earlier this month. Well, our next guest has just written an in-depth piece exploring the nation’s soaring education costs and their dangers. 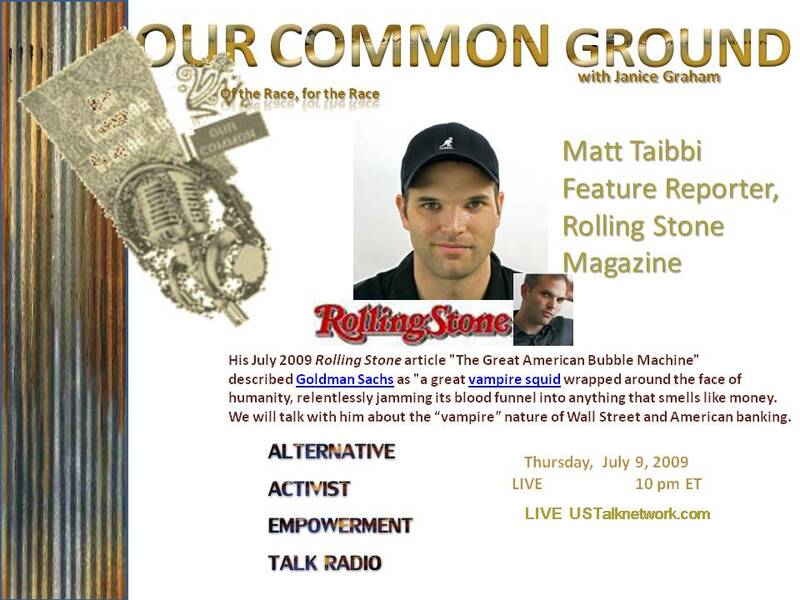 In the latest edition of Rolling Stone, Matt Taibbi argues that the high price of college tuition and the federal expansion of student debt to pay for it pose a major threat to the economy, as Taibbi writes, quote, “The dirty secret of American higher education is that student-loan interest rates are almost irrelevant. It’s not the cost of the loan that’s the problem, it’s the principal—the appallingly high tuition costs that have been soaring at two to three times the rate of inflation, an irrational upward trajectory eerily reminiscent of skyrocketing housing prices in the years before 2008. … Throw off the mystery and what you’ll uncover is a shameful and oppressive outrage that for years now has been systematically perpetrated against a generation of young adults.” Matt Taibbi’s article is called “Ripping Off Young America: The College-Loan Scandal.” He’s a political reporter for Rolling Stone. This entry was posted in American Politics, Critical Black Issues, Economic Poliicy and the American Economy, Electoral Politics and tagged Amy Goodman, Democracy Now, loan interest rates, Matt Taibbi, occupy-wall-street, Rolling Stone Magazine, student debt, student loan interest, student loans, subsidized student loans. Bookmark the permalink.